We are entering a new season. I wrote a little bit about that in Saturday’s prophetic word (sent to my Presence Seekers University members), and I’ll write more about it later. But today, I felt like the Lord wanted me to share four prayer directives for this new season. All four prayer directives are about how to pray for your dreams in this new season. What are prayer directives? Prayer directives are the specific, on-time words that the Lord wants you to pray into for any new season. Your prayer directives will change from season to season. If you want to read a lot more about prayer directives, read Heavenly Directives for Your New Season, here. Here are the four prayer directives I felt like He wanted me to share with you. They are specifically about your dreams: not the dreams you have at night, but the desires of your heart; the special visions and dreams for your life that Papa has given you. Prayer directive #1: Ask for acceleration. Ask Papa to accelerate your dream. Ask Him to protect you from acceleration that would hurt you; and to help you know the difference between His speed and the traps of the enemy. Ask Him to show you different strategies for how you can do specific things better, which will result in more yield, faster. Ask Him to show you what you need to learn more about. Sometimes you don’t know what you don’t know. Ask Him to remove any hindrances or obstacles that have stood in your way. Ask Him to expose any mentalities that have been holding you back, especially mindsets of poverty and lack. Ask Him to help you receive the truth of His Word in place of any ungodly mindsets. Prayer directive #2: Ask God to shelter you. Ask Him to help you abide in Jesus and dwell in the secret place of the Most High, so you can abide under God’s shadow and be safe. Ask Him to deliver you from the snare of the fowler (Psalm 91)–from plans, attacks, and tricks of the enemy that try to pull you down. Ask Him to defend you on every side. Ask Him to help you obey Him on every side so you don’t open any doors to enemy attack. Prayer directive #3: Pray for connections with people (by name, if possible). Ask Papa to bring you into contact with key people that He wants you to serve. Ask Him to bring you into connection with the people whom He has called to help you also. Ask Him to put your work in the hands of the right people at the right place and right time. Ask the Lord to open doors that only He can open, and slam shut every door that He wants shut. Prayer directive #4: Pray for favor. Pray for favor with people by name, if you know specific names. Ask Papa to bless you with favor that is clearly from Him alone, just because you are His son or daughter. Ask Him to orchestrate circumstances around you for your highest good at all times. Ask Him to whisper in the ears of the right people about you, and to handle your dream Himself. If any of these resonate in your heart, then dig in and pray them back to Father! He’s a good, good Father, and He is eager to pour every good and perfect gift out on you. It may be that your prayers will be the bulldozer that paves the way for a significant breakthrough in this new season. Do any of these prayer directives resonate with you right now? If so, please leave a comment below. I’d love to hear from you! Targeted prayer strategies that I can use Jamie! Yay! Me too. 😉 Sometimes I’m like, “come onnnnnnnn, Papa! Couldja hurry it up a little?” 😉 But that’s ok… in times like these, I believe we’re supposed to pray for acceleration. Is there any limit to how much God’s kingdom should increase? You are a blessing! God bless you! I know He has because now you are a blessing to others! Thank you, Diane. It takes all of us to get the word about Jesus’ love out… so thank you for helping and reading! I love these directives, some of which, I’ve prayed. I know there have been lots of attacks against my family. I like the phrase, “you don’t know what you don’t know “. But He does! An aunt with a mild stroke and cousins walking away from auto accidents prove angels are work and my family is covered by the blood of Jesus. He wins with best case scenario, as opposed to the thief, John 10:10. Jaime, I pray sincerely for women, so I agree on binding him, loosing every little demon from their assignment in Jesus name. That’s right! He is the Victor every time. I’m so glad He protected your family. When we get to Heaven, I bet we’ll be shocked to learn how many times He stepped in like that and protected us from things we didn’t even know about. Jamie is it amazing this journey last week. The enemy has been attacking me in my dreams when I sleep. Well someone sent me a link to about Battle verses. I have started prayers with the verses. The enemy has eased up. And I have a few key people praying along with and for me. I pray my testimony will encourage someone. I’m out of the Job stage no more ashes and sores. This journey is with the fragrance of Jesus. This read blessed me tremendously! It was definitely what I needed to read at the time that I read it. I was saying to the Lord yesterday that I am tired of being caught in these generational curses over my family. I possess the power and authority to cancel the assignment of the enemy and to reverse the curse back to the pits of hell. I am asking God for acceleration and protection. I am asking God to bring me into contact with every single person that he will have me to meet that can assist and/or teach me in building and expanding the visions which He has given me. I am asking God for favor and prosperity! These prayer directives are very key and essential to all that God has in store for me and how to reach them! Amen, TQ. You do have the authority to enforce God’s will in your life! By your choices and prayers and spoken words. May His Kingdom come and His will be done in everything that concerns you in your life, just like it is in Heaven. Thank you so much for reading. 🙂 Have a wonderful weekend! Those verses are key to your victory, Valeria. Satan didn’t run from Jesus until Jesus started quoting the Word at him. God magnifies His Word above His name and He always watches over His Word to perform it. The Scriptures are your sword! If you just speak those out and pray them back to God, you’ll rout the enemy in this situation and Papa will turn it around for your good every time. Found your post as I was looking for encouragement in what I sense as a new season in my life… I have some big dreams and definitely need direction and prayer. These directives will be a big help. And I am with you on the “come on… hurry up already.” Yet, He continues to show me that there are reasons for His timing. It is often because there is still more learning and preparation that need to take place in me. And He just keeps sayin’, “Be still and know that I Am God.” Thanks for all you do! Thanks for the directives, there are so many prayers to pray, but I love the “Psalms 91, abide under the shadow “, we all need protection and discernment. 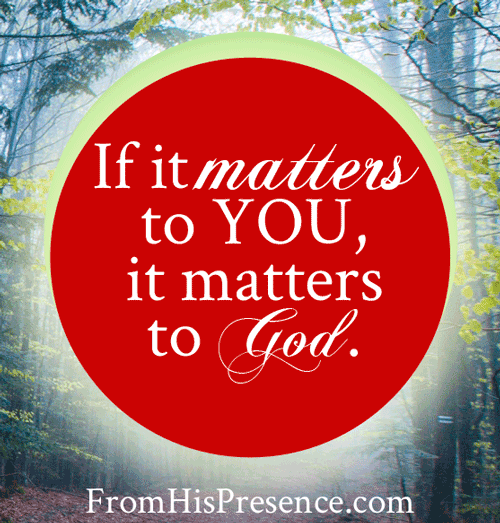 Pray with me and for me to Hear HIS voice, to know his voice….thanks! So glad it helped. Thanks for reading, Deandra!